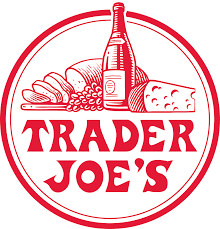 I am lucky enough to have two Trader Joe’s within a 10 minute drive. 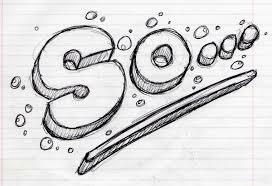 I hope before too long, you too will be able to say that. This is an unpaid and unsolicited cheer for the store. And my thanks for today’s post, courtesy of TJ’s. I subscribe to A.Word.a.Day, a website that M-F sends me interesting words around a different topic every week. If you Google it, you too can subscribe (it’s free). Kamm acknowledges errors in grammar, spelling and punctuation but states that if “everyone” is doing it, it’s OK. He says, “…that is what the language is.” To a certain extent, I agree. All languages change because of common usage. In Shakespeare’s day, the word “girl” could refer to a young child, either female or male. That meaning no longer applies, strictly because of common usage. And look at the evolution of the word “gay” in the last 50 years. 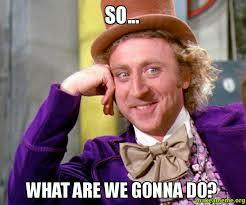 But Kamm has no problem with “between you and I.” I do. He would call my attitude snobbish and say I am a pedant. Yet isn’t he being pedantic when stating his views on language? Some rules of English language are holdovers from Latin syntax. That is why ending sentences with prepositions is still considered a no-no by many. I have no problem with saying or writing, “Who was the person I saw you with?” The alternative is to say, “With whom was that person I saw you?” I doubt many will go for that stuffy option. Splitting infinitives is another so-called error, yet the world’s most famous split infinitive, “to boldly go,” poses no problem. If it sounds all right and makes sense, I am fine with splitting infinitives (the “to —” form of verbs). We all use different forms of English for different occasions. A formal letter of complaint, a quick email to a friend, a letter to your ancient great-aunt—all will contain a different style of English. If your work involves a field that uses particular lingo, by all means use it among your colleagues. But don’t let that language spill out into the wider world; most people outside your area won’t understand what you mean. And clear communication is the purpose of language, isn’t it? Also realize that spoken English is rarely held to the same standards as is written English. Sometimes the result can be painful to the ears, but casual speech usually seems normal and often even entertaining. Here’s a big question: Do people judge us by the way we use English? I fear they do. It might not be fair, and it is only one way we are judged daily: by our speech and writing, by our clothing, by our hair and makeup, by the car we drive, by our taste in music and movies—the list is endless. Not fair, but endless. I have two graduate degrees in English. One class required a very complicated and difficult study of transformational grammar (don’t ask), but it did give me the knowledge and confidence to devote over 20 years to teaching business writing seminars in the corporate world. If “proper” English doesn’t matter, why was I ever hired? I think the dumbing down of language standards fits in with today’s grade inflation and trophies for everyone on the sports team. In the 1970s, an “anything goes” educational model arose to make students feel good at all costs. A young cousin of mine learned to read in school by using phonetic books; she also learned to write by using phonetic spelling. At some point in later elementary school she had to dich fonetik speling and lurn the mor convenshunl wun. Perhaps some of you were taught the same way. Since the purpose of language is communication, being precise is of great importance. The rules we learn throughout our lives, particularly in classes, ensure the greatest clarity; we encounter fewer opportunities for misunderstanding. My questions to you are the following: Is it racist or classist to expect people to write using the standards of “proper” English? If people don’t use standard English, will they be considered less intelligent? Will use of substandard English hold people back? I would love to get your feedback. I will be here all this week. I am disappearing for the following two weeks for vacation. Whenever you write, I will have your emails when I get back (yes, I’m unplugging) and will answer you. Thanks for reading. And thanks to AW for alerting me to the article that gave rise to this letter. In my original post about this ubiquitous sentence starter, I mentioned that I snarkily say “So” back to people. I want to clarify that I never say that to anyone in person. What I do is talk back to the radio and television. I blogged about this topic once before, but it has become ubiquitous and is grating on my last synapse. If you don’t know what I’m referring to, look again at the subject line or listen to any interview on NPR: Why are people starting sentences with “So” when the word adds no meaning? So I think “Well” as an introduction (that again carries no meaning and may at best buy thinking time before answering) has been supplanted by “So.” So notice today how many times you hear people say and write “So” at the beginning of sentences. So don’t be like me and snarkily say “So” back at them every time you hear or see it. So there. I was listening to an NPR report about the Boston Marathon trial, and the defendant, Dzhokhar Tsarnaev, was described as appearing “disinterested.” I would bet my life he looked “uninterested.” Certainly the judge and jurors should be disinterested, but not the defendant. “Disinterested” means unbiased; how could Tsarnaev possibly be unbiased at his own trial? He might have looked as if he was unbiased, but in no way could that be true. Of course, in time these two words will become synonymous for “not caring” because that is the way so many people are using them today. Maybe I’m the last holdout. 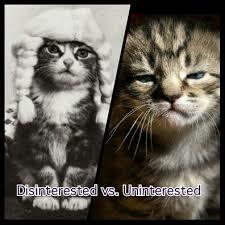 People will no longer use “disinterested” to mean “unbiased” and the latter will be used in its stead. But until next Tuesday, a distinction still exists.